What’s worse? 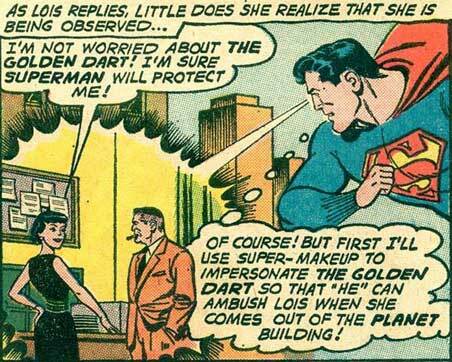 That at one point Superman counted “Super-Makeup” among his powers, or that it actuality all it consisted of was putting on a ski mask? When Superman Tells You to Get Away, You Get Away.